It's Father's Day, and you want to do something a little nice for the dad in your life. Maybe that's your dad, who is long past being embarrassing and is honestly kind of cool. Maybe it's your partner. Maybe it's a father figure who has had an important impact on you. Whoever it is, if that dad likes to grill, holy crap, do we have a Father's Day menu for you. 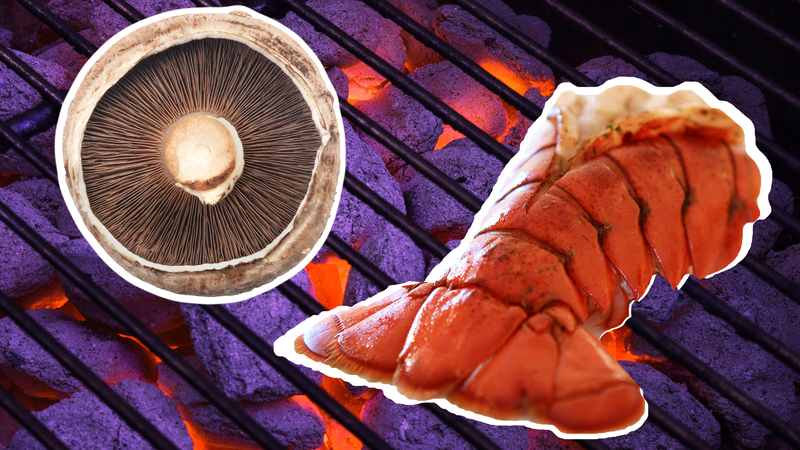 Instead of going back to basics, we turned to some exciting, fresh, probably-haven't-slapped-that-on-a-grill-before recipes that will open up a whole new world for your grill-devoted papa. Who knows. Maybe he'll even steal one of these recipes for the next summer barbecue. Sure, you could probably just hand Dad a beer and call it a day, but why not make something a little more festive? 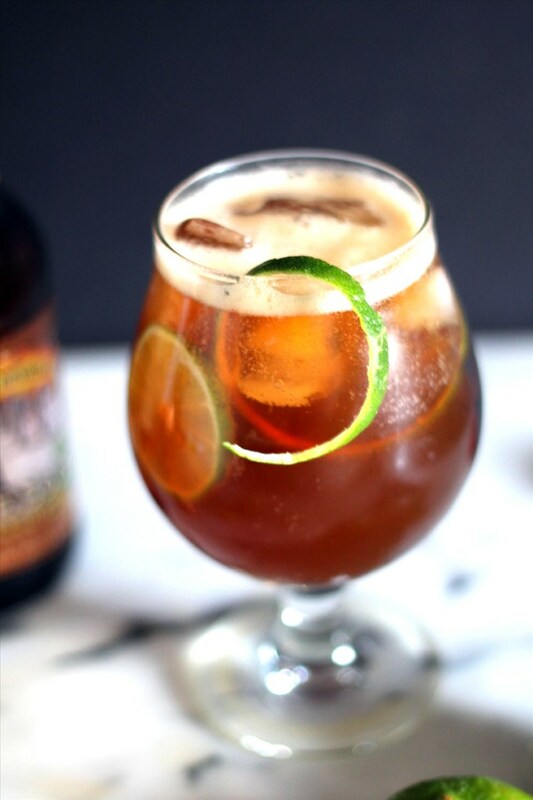 This bourbon-and-beer cocktail has hints of lime and maple for something extra refreshing. 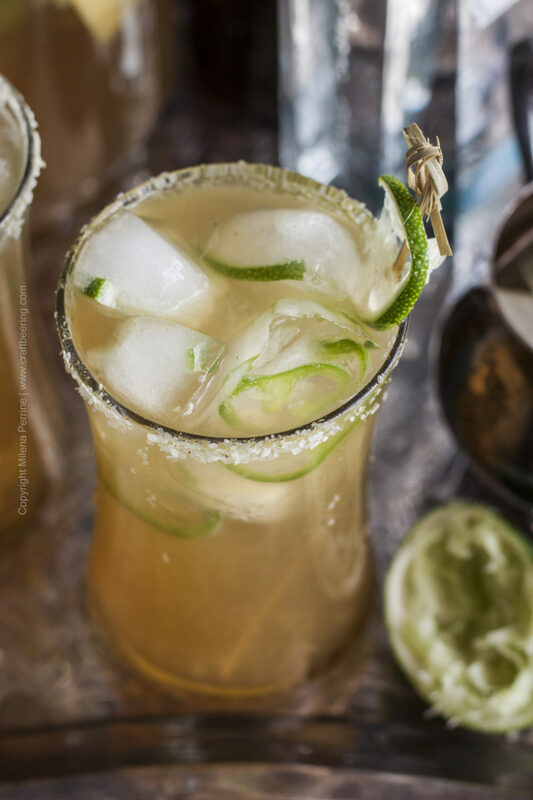 If you want to stick a little closer to the familiar, this IPA beergarita with jalapeño and lime is refreshing and not too far off the boozy path. 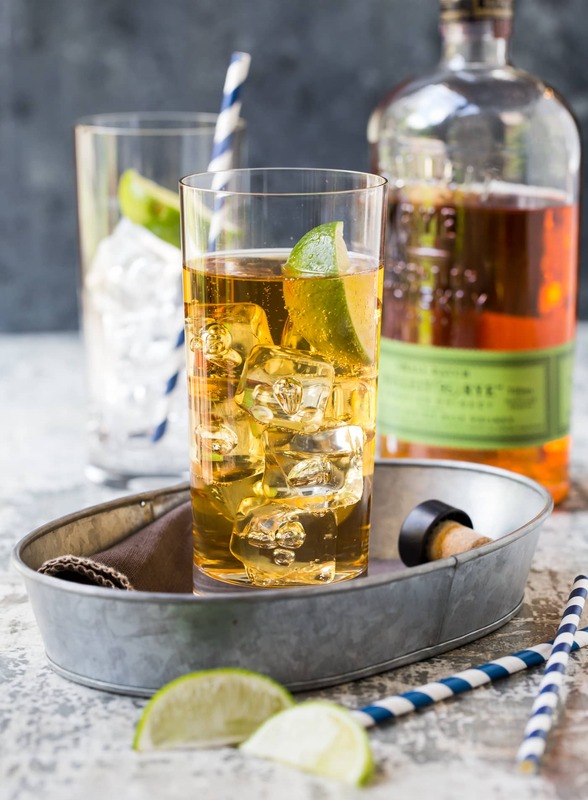 If dad is a whiskey fan, this ginger whiskey cocktail will make you the favorite family member for sure. Now onto the grilled apps. 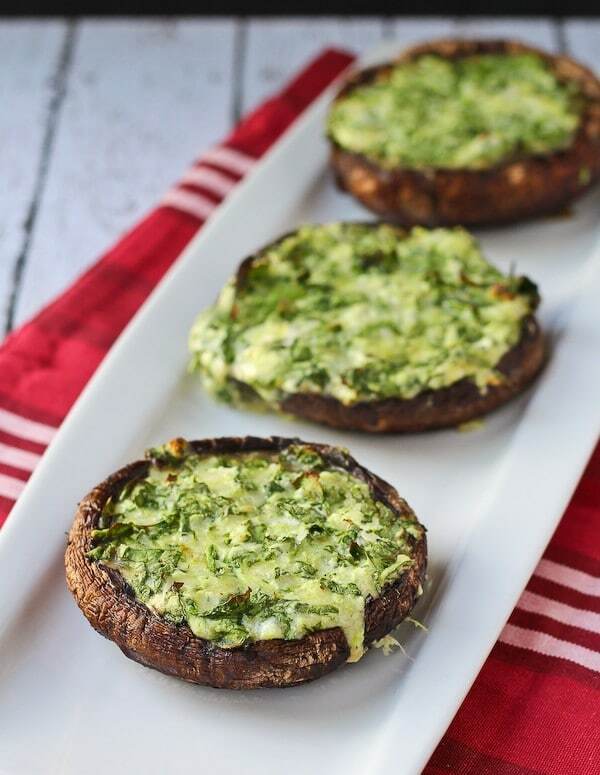 Portabella mushrooms are hearty and tasty when topped with a spinach-cheese filling. There's no reason a little bit of sausage can't be part of the appetizer. 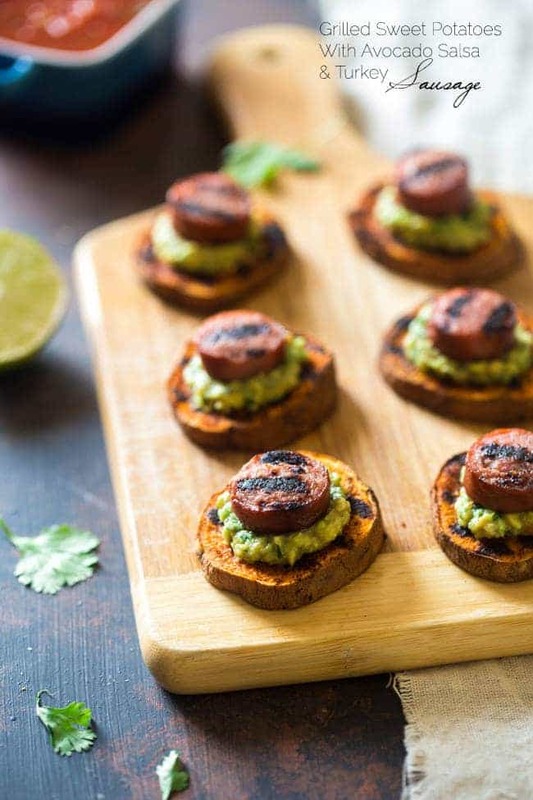 These sweet potato stacks are fresh tasting and make good use of grill marks. Who doesn't love a cheesy pepper? 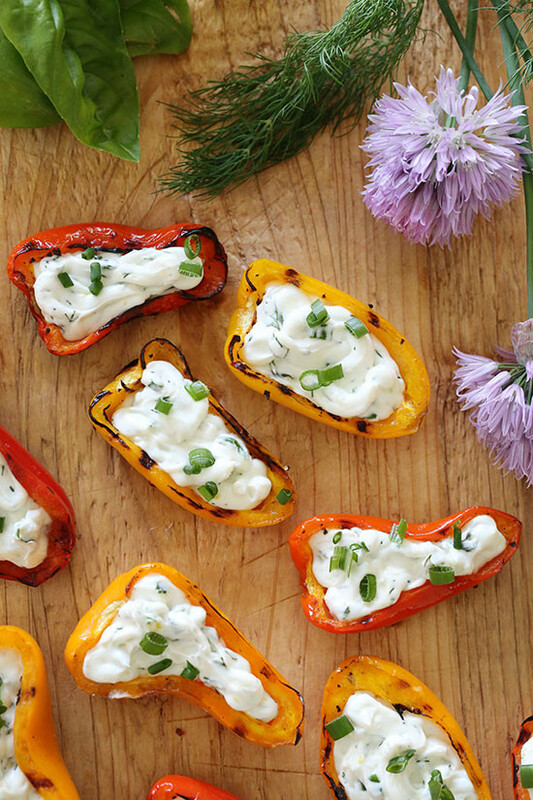 These rainbow sweet peppers are especially good thanks to a lighter cream cheese. Is Dad a fancy guy? 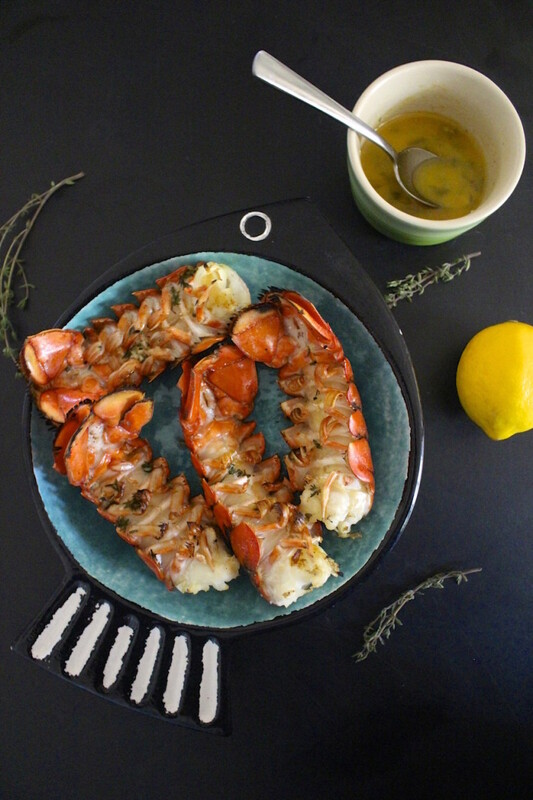 Lobster tails are even better over an open grill — just make sure to use plenty of butter. 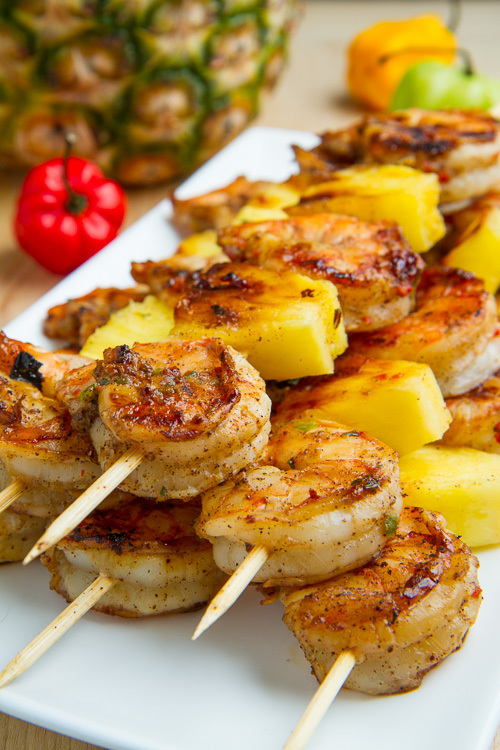 Another excellent seafood option is grilled shrimp. This jerk shrimp is great for a dad who loves a Caribbean flare. If Dad loves nothing more than pizza, there's no reason not to throw that on the grill too. 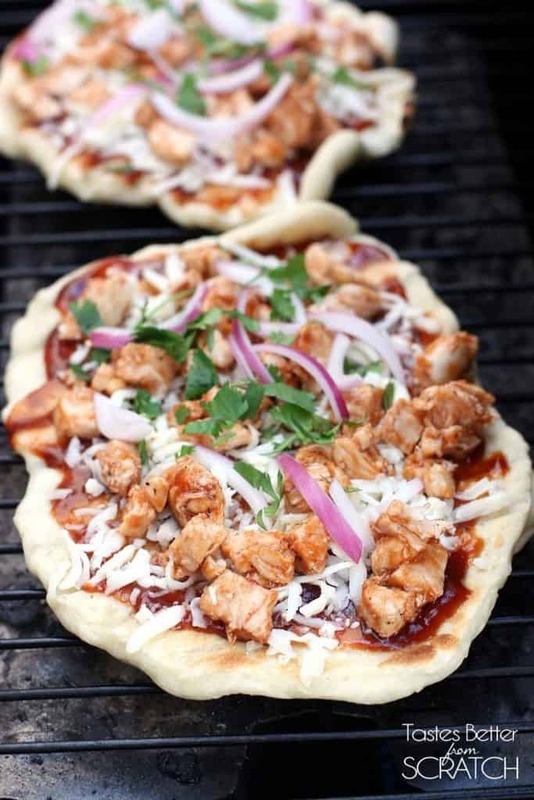 Our vote is for this barbecue chicken pizza. 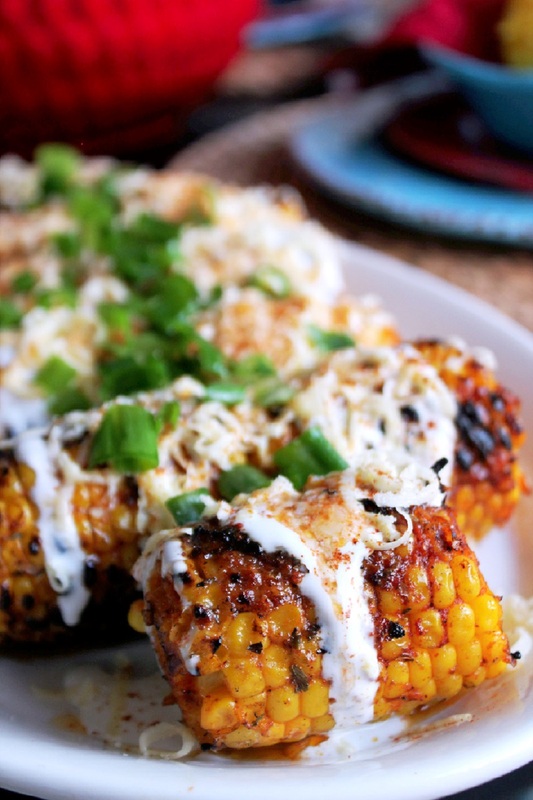 If butter and salt aren't cutting it on your elote (Spanish for "corn") lately, step up your recipe for dad with this grilled elote topped with cheese, spicy seasonings, lime and onions. 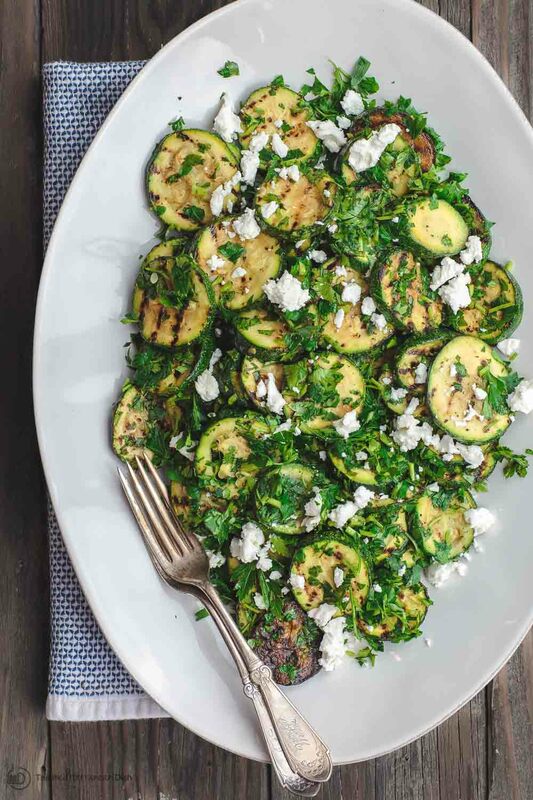 Another fun, fresh side Dad will love, this grilled zucchini salad uses fresh parsley, tarragon and goat cheese to really punch up the flavor. 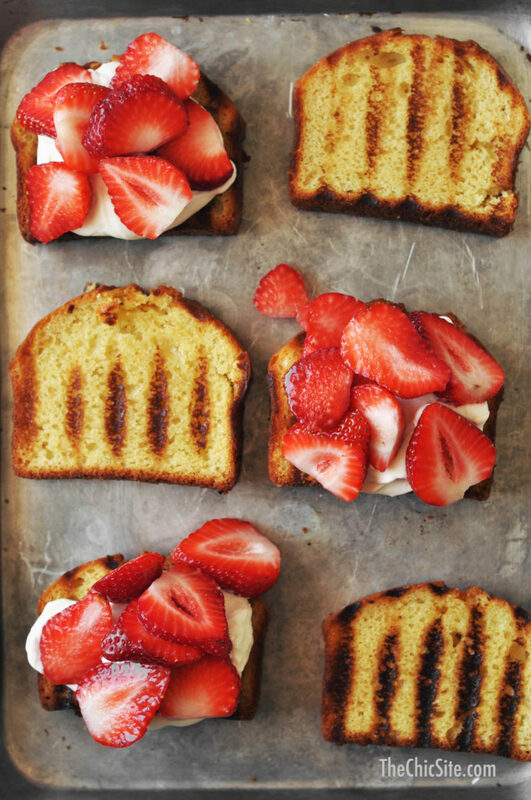 You can't have a Father's Day meal without dessert, and luckily, dessert can be grilled too! 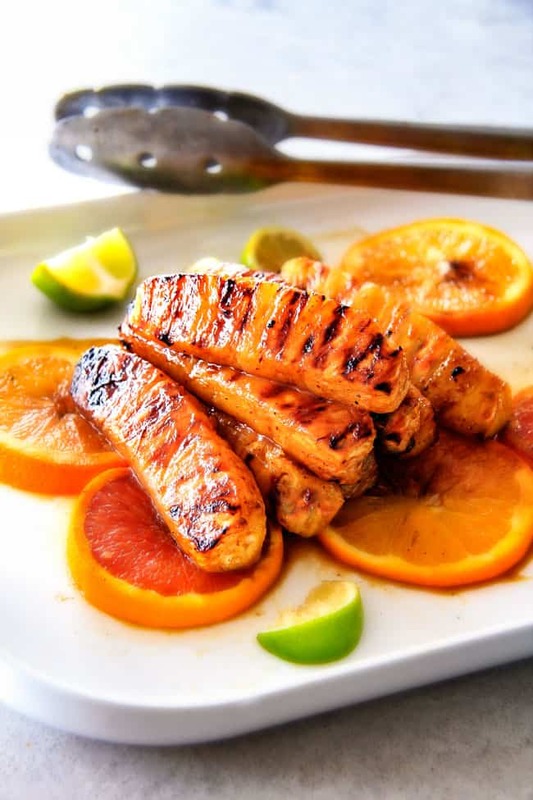 We love this grill-caramelized pineapple recipe. If dad really has a sweet tooth, go for a traditional dessert like strawberry shortcake, just with a few extra grill marks added.